The Costa Brava is a sum of sensations that is bound to surprise you all the way from Blanes to Portbou. Now that September is upon us, we would like to offer you 5 suggestions to enjoy the Costa Brava. How about it? 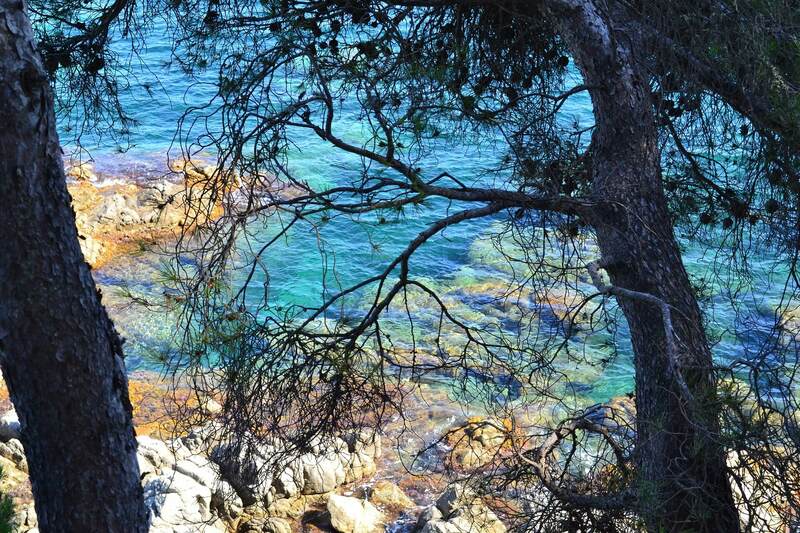 1- Natural parks: Nature holds a key position in the Costa Brava. Beautiful, rich landscapes in the area include the Cap de Creus Natural Park, the Aiguamolls de l’Empordà Natural Park or the Montgrí, les Illes Medes i el Baix Ter Natural Park. 2- The Dalinian triangle: Another good idea is to delve into the life and works of Salvador Dalí by visiting the famous triangle of this painter from l’Empordà in the Costa Brava. This trail will first lead you to the Dalí Theater-Museum in Figueres, which hosts an extremely valuable surrealist collection, as well as the Dalí Joies collection. The second space to visit is the Salvador Dalí House-Museum in Portlligat, in Cadaqués, where you can discover Dalí’s residence and workshop, with the painter’s original furniture and personal belongings. To complete the triangle you should visit the Gala Dalí Castle in Púbol, in the municipality of La Pera, which the artist bought for his wife Gala to fulfill a promise: to make her the queen of a castle. 3- Vies Braves: This is a public network of maritime and open water trails meant to carry out sporting, leisure and learning activities in the Costa Brava. The trails are signposted and marked in order to allow you to enjoy “open waters” safely. These Vies make the region a top tourism destination for open water swimming and snorkeling. 4- A visit to Roman Empúries: Discover Empúries guided by Iulia Domitia, a former inhabitant of Roman Emporiae who lived during the 1st century AD. This activity is organized by the Museum of Archaeology of Catalonia – Empúries. Throughout this activity Iulia Domitia, a former inhabitant of Roman Emporiae during the 1st century AD, will take you on a fun tour in which you will learn what the city was like, what life was like, and how the houses, streets, squares, markets and temples were. 5- Last stop, Cala Montgó: Is there a better way to end this route than to stop by Cala Montgó? This cove with fine sand, sheltered from the northern wind, is located in the southernmost part of L’Escala. Its rounded shape has led some to hypothesize that it may have originally been an ancient sinkhole that gradually grew larger due to the effects of the sea. And once you’re nice and relaxed, Can Miquel will be waiting for you with a menu chock full of seafood cuisine. So, how about it? Why is the Mediterranean diet a heritage to be preserved? What shall we do in l’Escala at Easter? We wait you at Can Miquel, where the essence of the Mediterranean surprises you on each dish. Local products cooked with our special touch.